As we start to head into autumn the bush turns to beautiful colours of yellow and brown and the early morning game drives are coated in a cloud of low hanging mist creating a spectacular scene as the guests head out on their morning adventure. It has been an exciting month in terms of new additions in our Lion population as we found one of the Hamilton’s females with three very young cubs lying next to the side of the road. At first, they did shy away from the vehicles being the first time they would have seen one this close but once they became accustomed to them, they relaxed, and it was an amazing sighting for guests and guides alike. It was a wonderful month as far as these apex predators where concerned we had numerous sightings of the Hamilton’s pride all around the southern boundary of the concession. And the female with the three new cubs has begun to move around with them a little exploring their new domain, they are only about 5 weeks old so we are careful when approaching them and limiting the number of vehicles so as to let them feel comfortable around the cars also at this young age we don’t view them at night time as their eyes are still very sensitive and also we don’t want to attract attention to them form other predator’s. It was again a slow start to the month as far as these elusive predators where concerned. 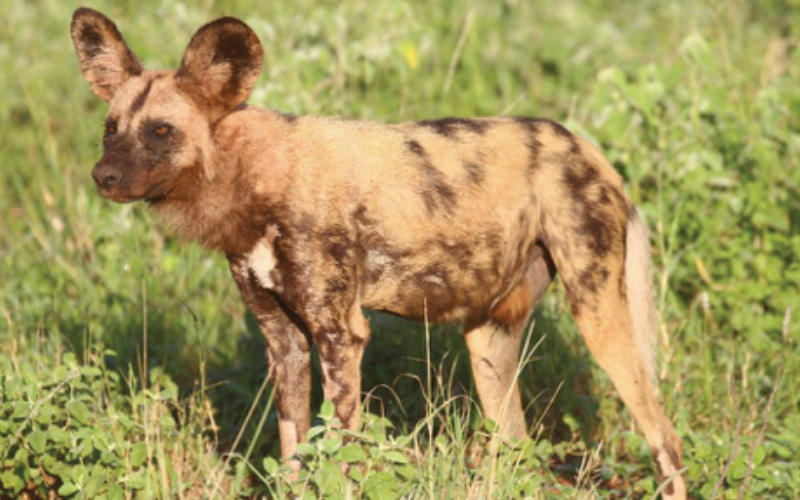 But later in the month we had two different sightings of Wabayisa on different sides of the concession patrolling and scent marking as he moved along the road. 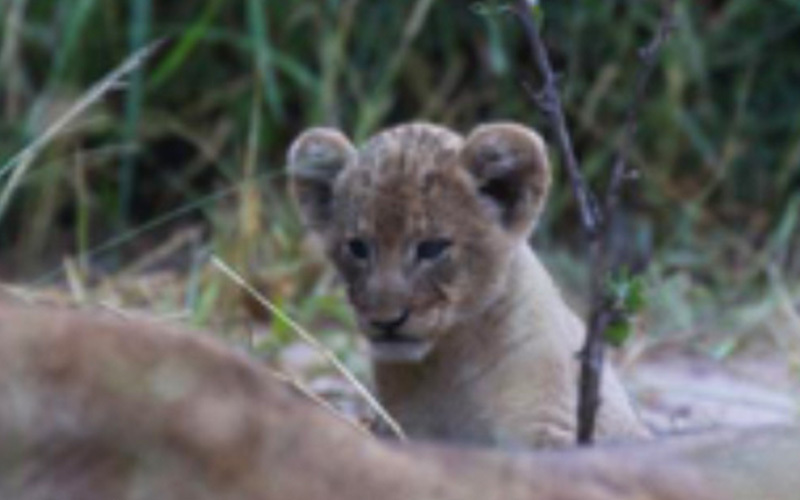 Also, we had several sightings of Nkanye’s remaining cub all around the south eastern parts of the concession and a special sighting of her and her cub which had being chased up a tree by the resident Hamilton’s pride of Lions who eventually lost interest and the two Leopards made a hasty retreat to safety. 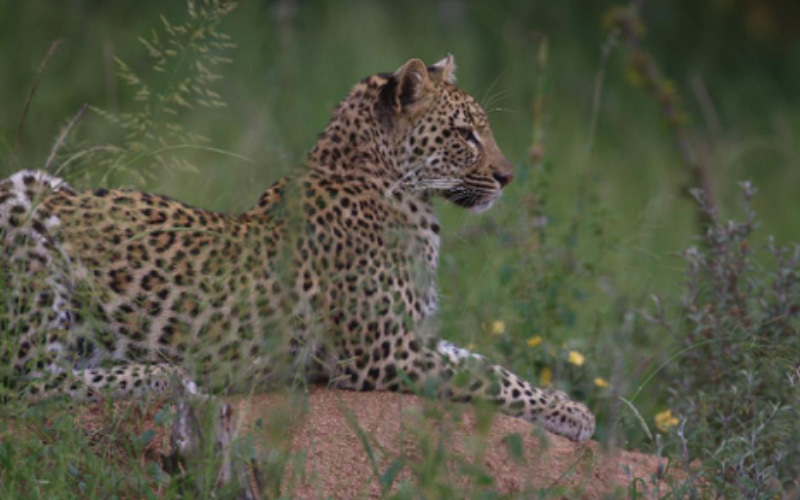 These highly endangered cats are always a sight to behold and it is never easy to see them as their territories can be as large as 100 square kilometres. We had several sightings of the three Cheetah we see normally on our southern border. 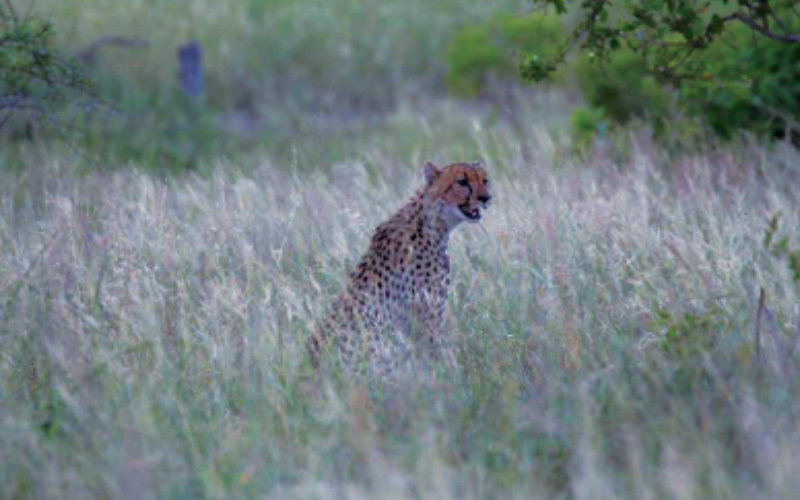 This part of the concession consists of large open plains which is the ideal hunting terrain for Cheetah as they can use their speed to their advantage on this type of terrain getting up to 119 km an hour over very short distance. Waterholes are a bit quieter now with all of the rain and pools of water all over . We had three different sightings of the Hamilton’s pack in various parts on and off the concession as usual highly mobile on the hunt. Like lots of predator’s they have learnt that using the roads they can cover a lot more territory and move quicker especially during this time of the year when the vegetation is still very dense and hard to manoeuvre through and spot potential prey. We wait in anticipation to see if they will once again use the den sight close to the concession as we get closer to the time of year when they will start to look for a suitable site. As the seasons start to change so will the movement of the animals and their feeding areas. Like most herbivores the Buffalo know instinctively which grasses are better during the wet season and which will still sustain them through the dry times. Luckily for them we have had a very good wet season and the bush is abundant with various grasses enough to see them through to the start of the rains. 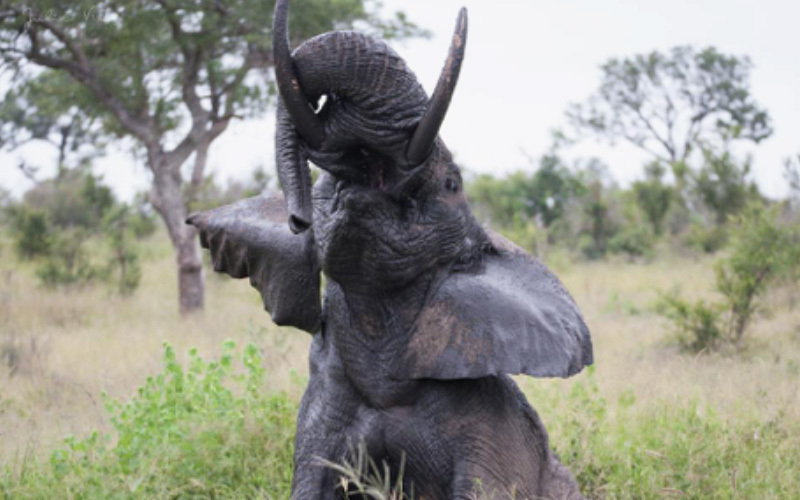 We still see numerous breeding herds of Elephants all over the concession also enjoying the abundance of grass available to them. This will slowly change as it becomes drier then they will focus more on browsing from the trees as the grasses dry out and become less palatable. As with all species the change of the seasons means different things, so with the birds we will start to see lots of them head off to different places for the winter season. Some making shorter journeys to warmer parts of Africa, others taking cross continental journeys to parts of Europe. 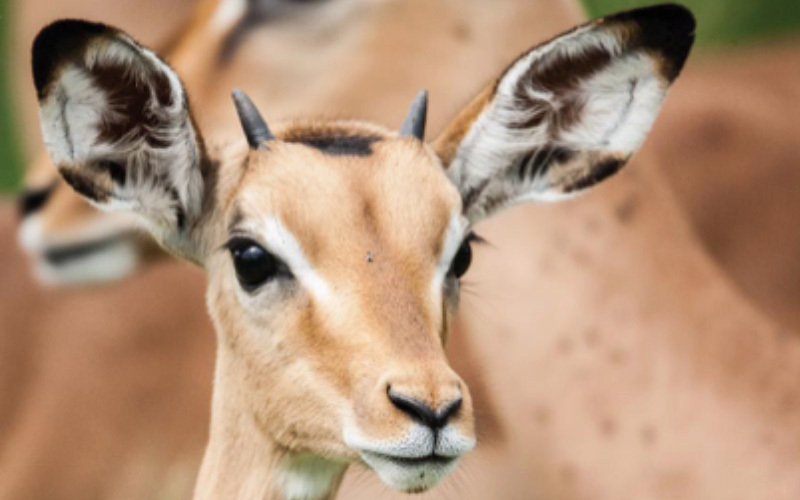 The fact that these small creatures cover several thousands of kilometres every year is still amazing. 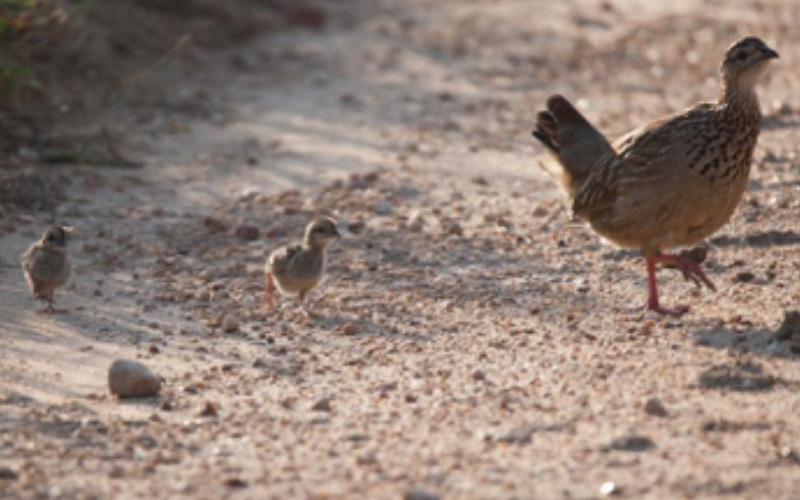 There are lots of crested Francolin chicks all over the concession, and we are also lucky to have a healthy population of Southern ground hornbills which are always special to see. African Hoopoe typically a cavity nester which will happily use a hollow in a pile of boulder or cavities in buildings. The African bush is a place of immense beauty and wonder and it will always and forever leave us amazed at its endless beauty.